Do you know of any Pools in Spain that should be listed here? Contact us!. Please use the contact information supplied at every pool profile to check if they are offering aquagym lessons, mainly because is not so normal to see an Aquagym in Calgary. Thanks to some new pools submitted by swimmers like you, Swimia.com is escalating in the daily number of stored pools. Please do not hesitate to contact us for those who get any Calgary Pool with inaccurate or incomplete details. 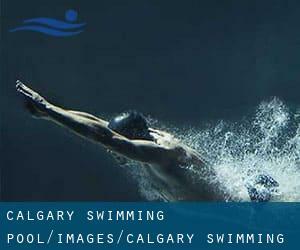 Regular users of the following varieties of Calgary Swimming Pool told us the most important thing about swimming is to control your breathing. Oftentimes this is not possible because we raise the neck to breathe and also the body just isn't aligned. To avoid this, our head ought to be aligned with our spine all the time. Not all countries are the same, and swimming rules and regulations are changing from one country to the other. So, if this really is your very first time seeking for varieties of Calgary Swimming Pool, be sure to call the premises just before you drop by. Going to a Calgary Pool is increasing specifically within the elderly population sectors of Calgary, who've suffered some type of muscle or bone damage. 1527 - 17 Ave. S.E. , Southeast , Calgary , AB , CANADA (Postal Code: T2G). Among all the activities provided by the centre, for anybody who is considering swimming you will enjoy 25 meters, 6 lanes, Indoors. Just in case you wish to contact this Pool before dropping by, we only know the phone number. 1520 Northmount Dr. N.W. , Northwest , Calgary , AB , CANADA (Postal Code: T2L 0G8). Swimmers like you reported 25 meters, 6 lanes, Indoors. Unfortunately we do not have the email address of this Swimming Pool, but we can provide you with the phone number. 2225 Macleod Trail S. , Southeast , Calgary , AB , CANADA (Postal Code: T2G 5B6). Swimmers like you have reported Olympic size, 8 lanes, Indoors. Also, you will find Olympic size, 8 lanes, Indoors. If you will need to contact this Pool, email address and phone number are both number. 1919 - 29 St. S.W. , Southwest , Calgary , AB , CANADA (Postal Code: T3E). Among all the activities offered by the centre, for anyone who is interested in swimming you will enjoy 25 meters, 6 lanes, Indoors. Just in case you would like to contact this Swimming Pool just before dropping by, we only know the phone number. Suite 400, 333 Shawville Blvd S.E . , South Fish Creek Complex , Calgary , AB , CANADA (Postal Code: T2Y 4H3). Swimmers like you reported 25 meters, Indoors. Unfortunately we do not have the e-mail address of this Swimming Pool, but we can give you the phone number. 9009 Fairmount Dr. S.E. , Southeast , Calgary , AB , CANADA (Postal Code: T2N 1N4). This sports centre offers 25 meters, 6 lanes, Salt Water, Non-Chlorine Sanitized, Indoors. For this Swimming Pool, only phone number is number here. 810 - 13 Ave. N.E. , Northeast , Calgary , AB , CANADA (Postal Code: T2E 8A1). Swimmers like you reported 25 meters, 6 lanes, Salt Water, Indoors. Unfortunately we do not have the e-mail address of this Swimming Pool, but we can give you the phone number. 315 8th Avenue S.W. , Southwest , Calgary , AB , CANADA (Postal Code: T2P 4K1). Swimmers like you reported 25 meters, 4 lanes, Salt Water, Non-Chlorine Sanitized, Indoors. Unfortunately we do not have the email address of this Swimming Pool, but we can give you the phone number. 11950 Country Village Link, NE , Northeast , Calgary , AB , CANADA (Postal Code: T3K 6E3). This sports centre provides 25 meters, 2 lanes, Indoors. For this Swimming Pool, only phone number is number here. 89 Canova Rd. S.W. , Southwest , Calgary , AB , CANADA (Postal Code: T2W 6G3). Among all the activities supplied by the centre, if you are thinking about swimming you will appreciate 25 meters, 6 lanes, Salt Water, Indoors. Just in case you want to make contact with this Swimming Pool before dropping by, we only know the phone number. 5303 Bowness Rd. N.W. , Northwest , Calgary , AB , CANADA (Postal Code: T3B). This sports centre offers 25 meters, 6 lanes, Salt Water, Indoors. For this Swimming Pool, only phone number is number here. Campus Centre , 1301 - 16 Avenue, N.W. , Northwest , Calgary , AB , CANADA (Postal Code: T2M 0L4). Among all of the activities offered by the centre, when you are interested in swimming you are going to enjoy 25 meters, 6 lanes, Salt Water, Indoors. If you need to contact this Swimming Pool, e-mail address and phone number are both number. Mt. Royal Circle, S.W. , Southwest , Calgary , AB , CANADA (Postal Code: T3E 6K6). Swimmers like you reported 25 meters x 25 meters, Salt Water, Indoors. Phone number and e-mail address are number for this Pool. 6725 Centre St. N.W. , Northeast , Calgary , AB , CANADA (Postal Code: T2K 4Y5). Swimmers like you reported 25 meters, 6 lanes, Indoors. Unfortunately we do not have the email address of this Swimming Pool, but we can give you the phone number. 2000 - 69 Street S.W. , Southwest , Calgary , AB , CANADA (Postal Code: T3H 4V7). Among all the activities offered by the centre, if you are interested in swimming you'll enjoy 25 meters, 4 lanes, Indoors. Just in case you need to contact this Swimming Pool just before dropping by, we only know the phone number. 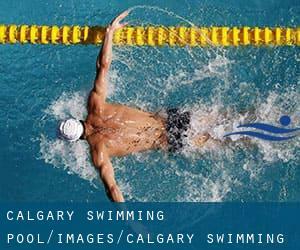 Enjoy the best indoor pools in Calgary and don't worry about the weather. These facilities are open all seasons and you can enjoy a swim at the same temperature every day of the year. There are numerous alternative remedies to chlorination, with excellent advantages that ensure better water high quality in the pool. 1 possibility is the mineralizer, which purifies water naturally and substantially decreases the chemicals used and maintenance time. Try Chlorine Free pools in Calgary. One of the benefits of outdoor swimming in Calgary is the possibility to sunbathe in the course of the summer season. Taking it with extra care, sunbathing is healthy because introduces Vitamin D into the body, so the perfect alternative seems to be switching in between indoor and outdoor pools based on the season. There are a number of reasons why you'll want to choose a heated swimming pool in Calgary. The most significant one relies on the importance of keeping the body temperature stable. If the water is too cold, your body will try to warm it up and you will lose strength to swim correctly. If you're tired of having eyes and irritated skin, discovering a saltwater pool in Calgary can be the solution. You ought to know that the degree of salt from these pools is well beneath the level of salt from sea water, specifically they are talking about a tenth or less.